Hydraulic truck cranes are mobile and legally able to drive on public roads and highways. They are usually able to move into a job site, set up, do the work requested, pack up, and move out on the same day. They are convenient, versatile, and economical. Every hydraulic truck crane is rented with a nationally certified operator to ensure efficiency and safety. Most hydraulic truck cranes can be ordered over the phone and usually require a brewer company salesperson to preview the job site to allow the assignment of the crane most suited for the project. Finding a hydraulic truck crane to lift a weight of any size is easy because Brewer Crane has hydraulic truck cranes ranging in size from 12 tons (boom truck) to 400 tons. 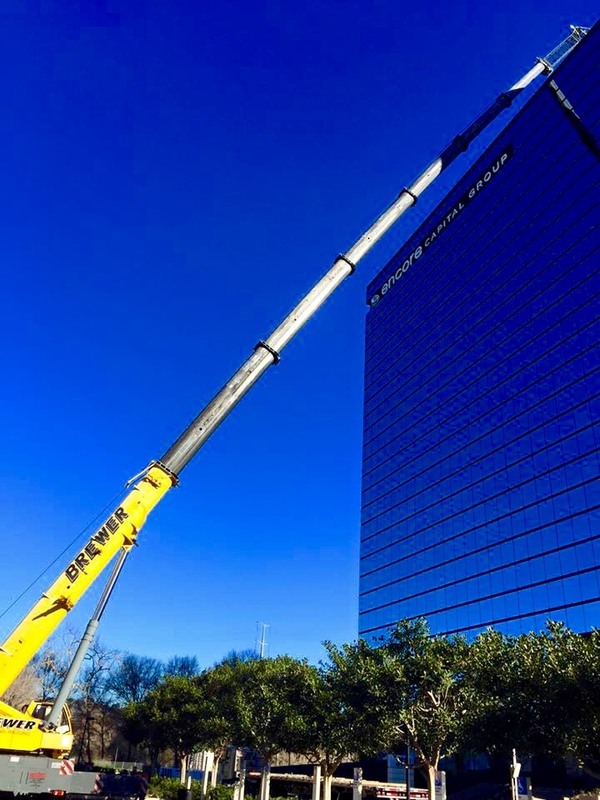 For a free crane rental quote please call our toll free number at 1-88-The-Crane, or click the button below to fill out our online quote form.